Welcome to ICA Kalkaji. Visit & experience the difference. India has been witnessing a change in its economic and business scenario for quite sometime now. Apart from the growth of indigenous industries, there has also been an influx of foreign investment in the country. India is the market that the world is looking up to with hope and optimism. The job opportunities here are also abundant, multifarious, and more interesting than ever. 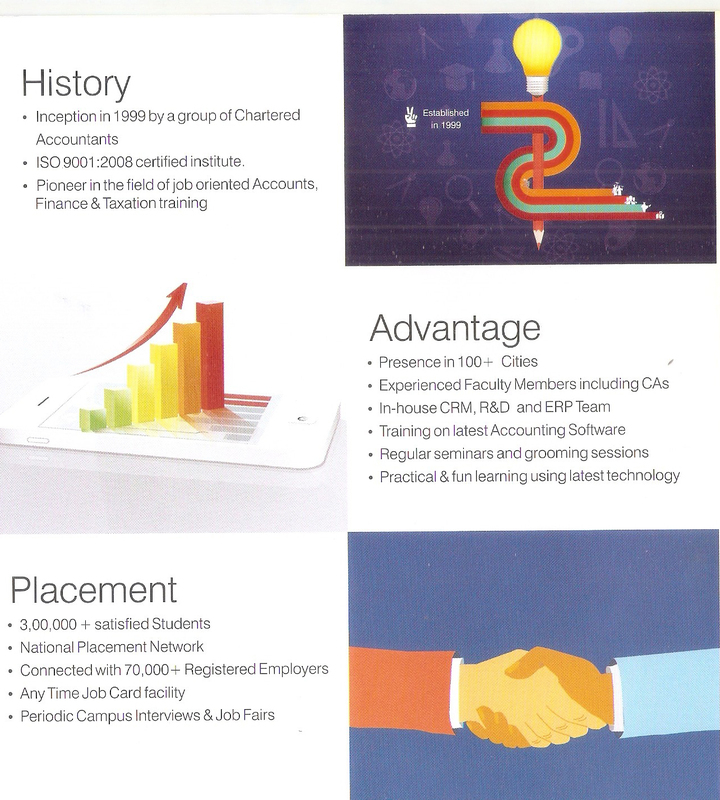 With more and more industries mushrooming all over the country, accountancy is a career option that is attracting a lot of youngsters these days. 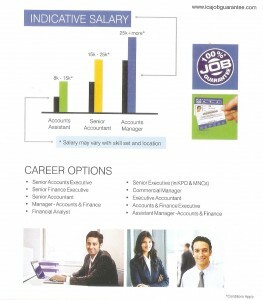 The demand for accountants is on a rise in India and there is no dearth in their supply as well. However, there is an acute need of talented and competitive accountants who can be an answer to their counterparts in other developed nations such as US and UK. In order to enhance the competitive edge of our accountants we need to take a hard look at our education system. The study materials of B.Com has not been grouped and regrouped according to the demands of this era. To illustrate, B.Com Syllabus does not includes the preparation of voucher, preparing accounts with the help of source documents like Bank Statement external/internal evidence records slips and deposit slips and so as so no where close to software trainings. As a result the students are finding themselves in a soup in the job market. Furthermore, promoted from a clerical to a mid-level job, the prospective employers expect more efficiency than the accountants of yesteryears usually had. The incomplete know-how of international accounting methods and lack of hands on training are shielding the aspiring accountants to plug in to great jobs, which are now available in the market. Added to this is the deficiency in right knowledge of computers, which is also hindering their way to success. Now the point is, what the prospective accountants should do to elude these problems and get a great job ? Bliss Institute of Studies Pvt. 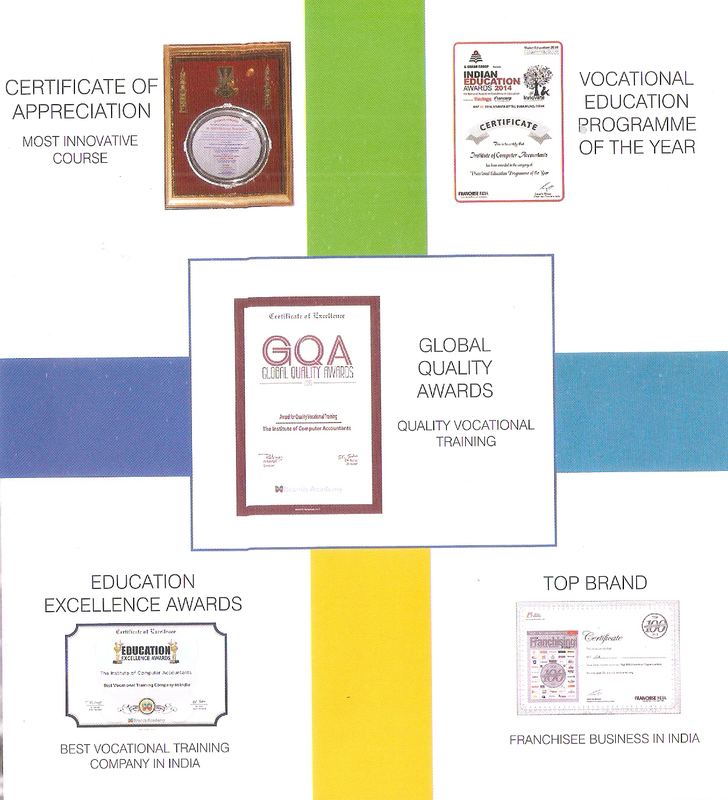 Ltd was established in the year 1994 with the main object of imparting practical Computer education in the field of Accounts & taxation and also to provide advisory services including procurement of jobs both in INDIA and ABROAD. 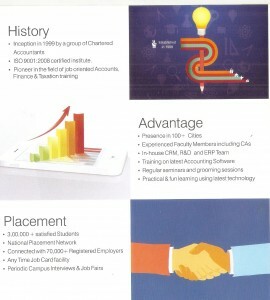 The Institute of Computer Accountant was established with the main object of imparting education in the field of Accounts & taxation and also to provide jobs after successful completion of course. In view of above BLISS (perfect happiness) joined hands with Institute of Computer Accountants under name and style ICA KALKAJI. At Institute of Computer Accountants, Kalkaji, with the help of dedicated and sincere team of faculties all of them having high level of technical know- how in the field of Accounts & Taxation along with the help of CA Firm, CS in practice, Advocates, MBA, Share Brokers and time to time visits to government departments, Students are learning the skill of being perfect Accountants and are gearing to face any kind of challenges in the field of Accounts and Taxation. 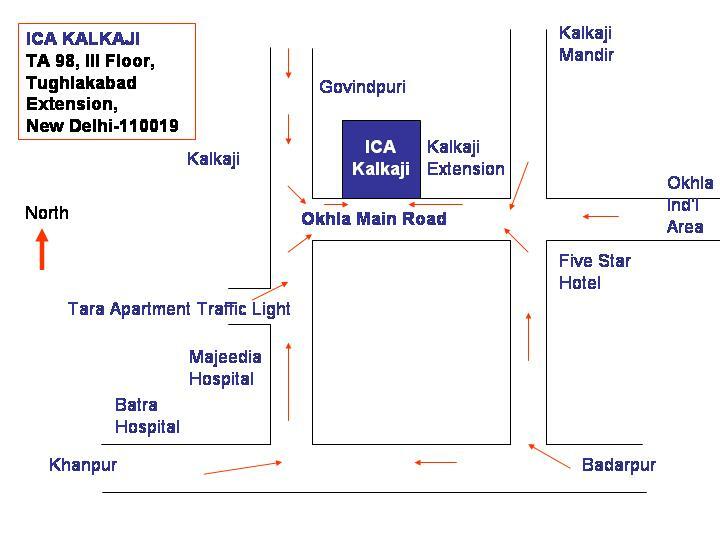 ICA Kalkaji have set a very high level of standard in imparting knowledge through software, Forms, challans, Returns, (related to Taxation, Company Law, service Tax, TDS) Audit and Practical knowledge in the field of Accounts ,Taxation, Excise, Company Law ,export and import –Share Market, Effective Communication along with continuous revision and practice. Students have the facility to improve their knowledge even after they have completed their course and are in jobs. 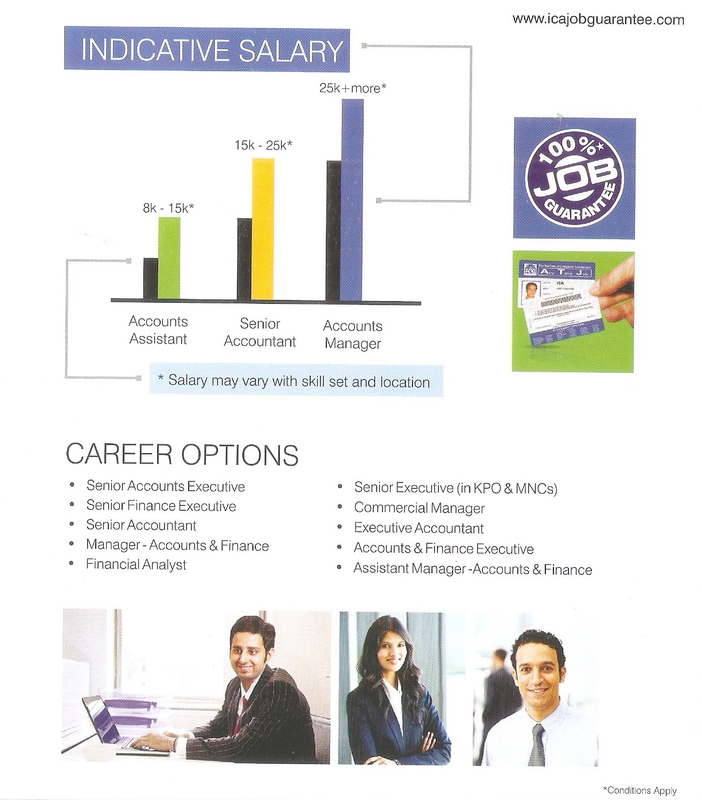 At ICA KALKAJI we remain committed to our endeavor in helping students get a job after undergoing professional guidance. We look forward to your valuable suggestion in taking our mission further. 2. Training with upgraded software. 6. Computer Training under CA Firm. For Accounts, Taxation, Auditing & Company Law Matters. 7. Time to Time Seminars/workshops by leading financial Consultants. 8. Frequent visits to different Industries / Banks, Government Departments including Income Tax / Sales Tax / Service Tax , Company Law to upgrade Knowledge. 9. In house Training with modern Library and recreation facilities and sports activities with 100% Power Backup.